This association eventually flowered into antislavery activism for at least three members of the Anthony family—Susan, D.R., and Merritt. “I found the colored people much more spirited than I had supposed they would be. I found among them a determination to protect each other from the blood-thirsty kidnapper, at all hazards. Soon after my arrival, I was told of a circumstance, which illustrated their spirit. A colored man and a fugitive slave were on unfriendly terms. The former was heard to threaten the latter with informing his master of his whereabouts. Straightway a meeting was called among the colored people, under the stereotyped notice, “Business of importance!” The betrayer was invited to attend. A decade after Douglass’s narrative was released, women of Martha’s Vineyard smuggled a freedom seeker across Buzzard’s Bay to New Bedford in a daring escape that figures prominently in my book. 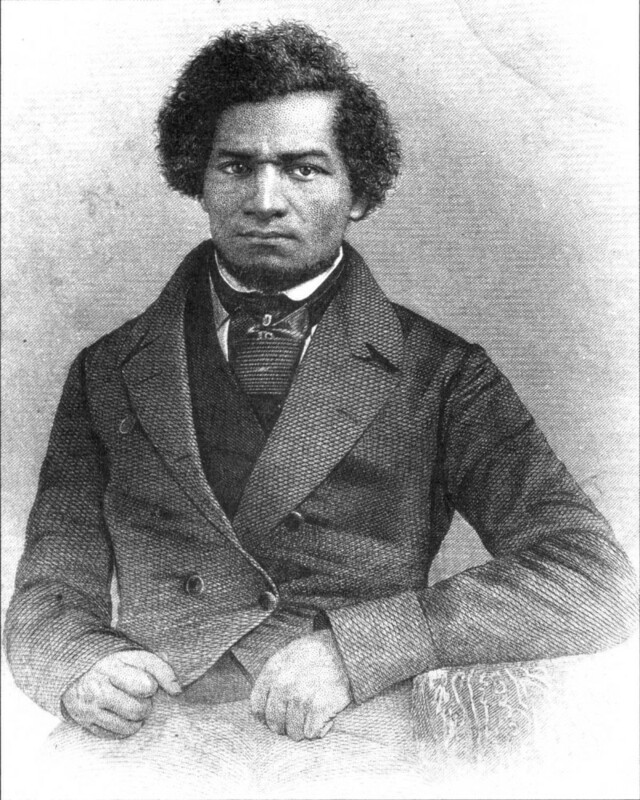 Since Anna Osborn Anthony’s father was a shipbuilder, it is entirely possible that Douglass worked on some of Osborn’s ships. This entry was posted in Anna Osborn Anthony, Antislavery, Contemporaries of Anthonys, Daniel Read Anthony, Martha's Vineyard, Quakers, Susan B. Anthony and tagged antislavery, Frederick Douglass, freedom seekers, New Bedford, underground railroad by Jeanne. Bookmark the permalink.